In the decor world of 2017, anything green is well loved! 😍 In fact, you’ll notice a lot of white, wood and (fake or real) plants. It’s very trendy yet timeless. Growing up my mother always said, “Every room needs something green” and she was right. 🌿 Green represents life. So, I want to bring this adorable boxwood initial to your attention! I ordered one off Amazon and absolutely love it. (Helpful Hint – Amazon has great prices on boxwood.) I’ve found several places for this “B” boxwood throughout my home. Honestly, it looks good anywhere. 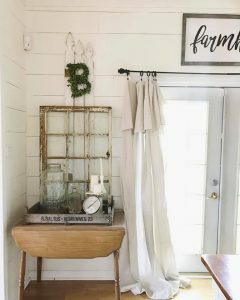 I love using boxwood in my home for Summer!! Btw – You can order other letters. 😉 B is for Bowman. 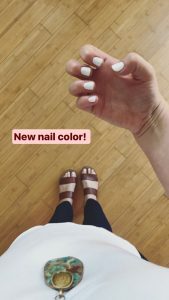 Me and this OP I Nail Color are going to be BEST Friends all Summer long!! 😍 😍 It’s called Funny Bunny by OPI and I’m obsessed. Okay, now we’re getting real random, my friend! I just can’t go one more day without telling you how amazing this Kitchen Utensil is.. I feel I owe it to you. 🙌🏻It’s a utensil used for ground meat. This. Will. Make. Your. Life. Better.